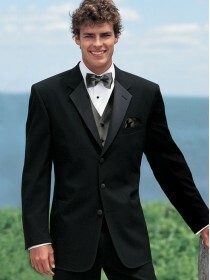 Slim Fit Black Satin Peak Lapel Besom Pockets One Button Front Vented .. Slim Fit Black Satin Peak Lapel Besom Pockets One Button Front Besom Pockets Vent.. 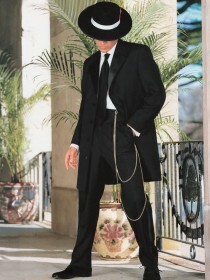 Peak Lapel One Button Front Slim Fit Regular Length Coat Besom Pockets Vented .. 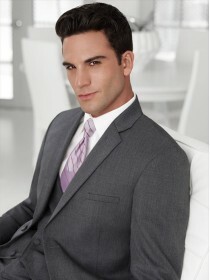 Notch Lapel Two Button Front Slim Fit Regular Length Coat Besom Vented .. 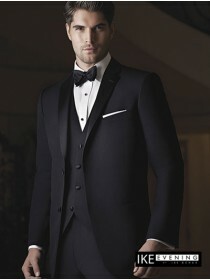 The black Parker slim fit tuxedo by Ike Behar was designed with the people in mind that wa.. 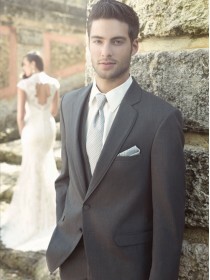 The black Waverly slim fit tuxedo by Ike Behar was designed with the people in mind that want a soli.. 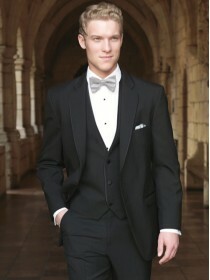 The black classic tuxedo by Jean Yves is an updated incarnation of the basic tuxedo. Fashioned.. Sometimes it's okay to stare. 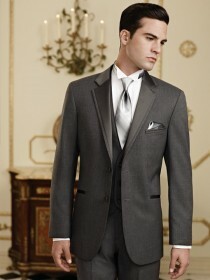 With the steel gray Twilight tuxedo coat, you may get a lot of that. 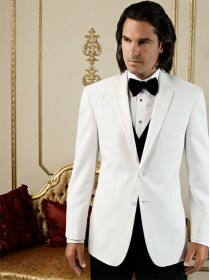 F..
For the groom who wants to compliment the bride's white dress, the white notch coat is a perfect mat..
Channel your inner gangster in this whimsical Zootux (Avalon) by After Six. This four button coat ha.. Satin Notch Lapel Three Button Front Contemporary Fit Regular Length Coat Welt Pocket N..